Coach Mike Velasco has been playing baseball all of his life. He has benefited immensely from the game and loves coaching young athletes. Coach Mike attended Bishop Amat High School and played on their baseball team as the starting 3rd baseman and pitcher. He transferred to Chaparral High School in Scottsdale, Arizona where he was the relief pitcher. His teams won the State Championship two years in a row (2005-2006). 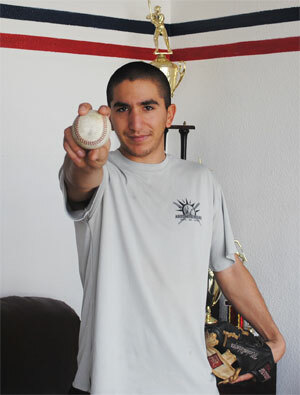 He then attended college at Eastern Arizona College in 2006 and was their relief pitcher. He transferred to Mesa College and played 3rd base, 2nd base and outfield. Mike also played in the Arizona Summer Collegiate League where he was selected to the 2008-2009 All-Star Team. Mike&apos;s patience and ability to break down instruction into understandable bits produces results in all of his students.